What is brown rice? You must have heard how a lot of people are turning away from white rice. Even your doctor may have told you to introduce brown rice in your diet. What’s the difference between brown rice and white rice, you may ask? 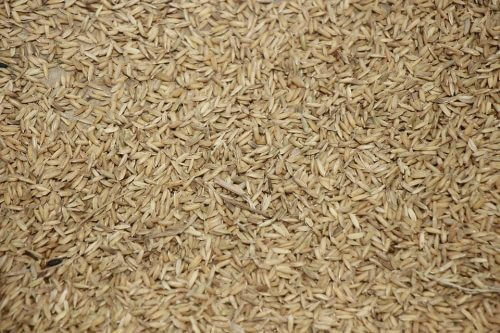 Brown rice is a whole grain that holds the bran and the germ, making it rich in fiber and other minerals. It’s super healthy and nutritious. How can cooking brown rice prove to be such a monumental task? That’s a question many of you will stumble upon when you switch from white rice to brown. When it comes to brown rice, you have to find the perfect balance of water to rice ratio. A miscalculation here and there can lead to disappointment. The fiber and nutrients in brown rice make it a healthy alternative, but it is also a difficult grain to cook. But have no fear, as we are here to help. In this article, we will show you how to cook the best brown rice with the assistance of the ever-reliable pressure cooker. I’ll also give you some tips that will help you avoid stickiness when it comes to cooking the perfect brown rice. So let me help you navigate your way towards a fluffy, tasty, brown rice recipe. The first step on our way to delicious brown rice is to clean the rice. Rinse the rice for about 30 seconds, three times each. You can’t be lazy here as this will matter the outcome you desire. So make sure you clean without prejudice. Once step 1 is taken care of, add the washed rice to the pressure cooker. Follow the rice by adding a cup of cold water with one tsp of salt. Mix all the three ingredients well and let it rest for 5 minutes. Now that we have all our ingredients right where we want them, you have to shut the lid on the pressure cooker. Make sure it’s tightly sealed, if not you’ll have a hard time separating the rice from the cooker. Rest it on high flame and wait for a whistle. Once we have our whistle, it’s time to lower the flame. We have to cook the rice on a consistently low flame for the next 30 minutes. After 30 minutes, remove the pressure cooker from the burner. Wait for the cooker to cool down; you don’t want to ruin all your hard work now do you? Exercise patience. Once the cooker has cooled down, open the lid and bathe in the aroma of fresh, well cooked, fluffy brown rice. Congratulations’ you just made a delicious bowl of brown rice. It’s ready to be served and devoured. Now the ingredients I used are basic. If you want to spice things up a bit, you can add black pepper. More flavors can be brought to the mix by adding cardamom and cinnamon sticks. I prefer my rice plain, and it’s up to you how you would like it served. Also, the brown rice I used was long grain basmati rice; I highly recommend you use the same. Here are some tips that will help you have a hassle free cooking experience. If you are using soft grain rice, then you’ll need only 2 cups of water. Long grain rice on the other will require more. One way to soften the rice is to boil the water first and then add the rice onto it. Let the rice boil with the water, drain it and then follow the procedure mentioned in the article. You can make your own variations with the recipe by adding vegetables to it. I recommend adding peas and cauliflower to satiate your taste buds. Note: If you see that there’s water in your pressure cooker then drain the excess water carefully. This will help to ensure that your rice doesn’t get sticky. Brown rice can give you an advantage in ensuring that you live a healthy life, full of nutrients, minerals, and fiber. It’s a better bet than white rice. So yes, say hello to your new best friend!